Ever since yesteryear actor Shashi Kapoor has been awarded the prestigious Dada Saheb Phalke award suddenly the Kapoor clan has realized the worth of their ancestors. First Rishi Kapoor in his tweet expressed his displeasure at the government ignoring the contribution of his uncle and popular actor of the 60’s Shammi Kapoor, who gave super hit films like KASHMIR KI KALI, TEESRI MANZIL and AN EVENING IN PARIS and introduced the concept of dancing actor in Bollywood. 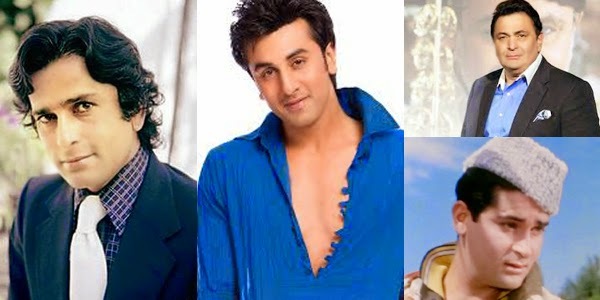 After the Rishi Kapoor tweet, his song Ranbir Kapoor took to micro-blogging site Twitter and expressed his adoration for his dadaji (grandfather) Shashi Kapoor. With Shashi Kapoor’s being conferred with Dadasaheb Phalke Award, the Kapoor clan now boosts of having three Dadasaheb Phalke Award Viz. Shashi Kapoor’s late father Prithviraj Kapoor and second for Shashi's elder brother Raj Kapoor. The Kapoor brothers - Raj Kapoor, Shammi Kapoor and Shashi Kapoor formed a trinity and dominated the Hindi filmdom from the 50 to the late 90’s.